Modern parents have a perfect opportunity to protect their kids from online and real-life dangers. With the help of MMGuardian, it is possible to monitor your children wherever they are. To forget about that disturbing obscurity, install MMGuardian on your kid’s mobile device (e.g. cell phone or tablet). Offered parental control software has options a modern parent requires for constant remote and effective spying & control. Special program offers a comprehensive set of various options. They make this application flexible. It means users can use MMGuardian while your son or daughter grows and matures. 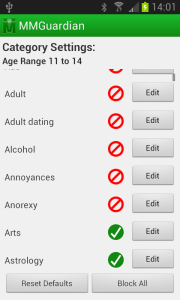 A full list of features offered by the great parental control app makes it flexible tool. You are able to manage the application’s performance remotely. Use personal phone app or special Parent Web Portal. Find accurate reports about the target phone usage + its owner’s location. MMGuardian is nothing special if we are talking about the installation process. Modern spy app market is full of various parental monitoring applications such as McAfee Security, AVG Internet Security, Auto Forward Spy, and many others. MMGuardian offers a simple installation process to surprise mobile skeptics. If you are afraid of constant upgrading of the spy app by yourself or long installation minutes, try to calm down. It will take a few minutes to install MMGuardian on the target phone. The user needs to grab child’s device in your hands once. To start tracking activity, you don’t need to set any special points – identify your phone number, email address, and unique password. Users may identify few admin phones on a single target device. 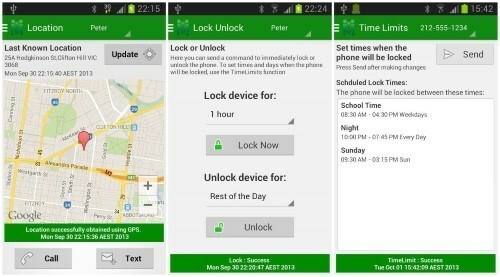 Users receive updates about location and status by SMS. You may lock the application using a unique password to prevent its uninstallation by other users. MMGuardian seems another parental application. It has lots of common features, but its reliability & great blocking opportunities make it special. These features make it different from other spy apps on the market. They create ultimate parental monitoring software. While most applications on the market offer GPS tracking & SMS text monitoring functions to be the best functions, MMGuardian deals with something more interesting and useful. If you are a parent, you should realize how hard it is to protect your kids from the wave of inappropriate content plus cyberbullies. This is the problem of our time. The app we are talking about offers a perfect solution: block anything you want on target kid’s device with a few taps on the screen of your personal phone. Start with the trial license to make sure discussed phone monitoring tool fits your personal requirements. It is a perfect chance to meet the parental monitor. Learn its features + advantages. Users should purchase an official license to use the parental software in full mode and constantly. The application’s fee is not the highest one in the industry. It can be easily compared with other similar solutions. What is more important, the app is totally compatible with two most important and popular operating system these days – iOS & Android. Another great advantage of this spying application refers to operating systems. Use the program on Android phone while your target device is iOS powered or vice versa. Let’s talk about other advantages of MMGuardian below. The target phone administrator, program’s user, can lock the phone remotely in certain time extract. Example: when your kid is at school, try to lock his or her device until the classes end. If you still want to reach you kid at school, but don’t want him to play with social networks, block those harmful related apps. Block inappropriate content and websites! 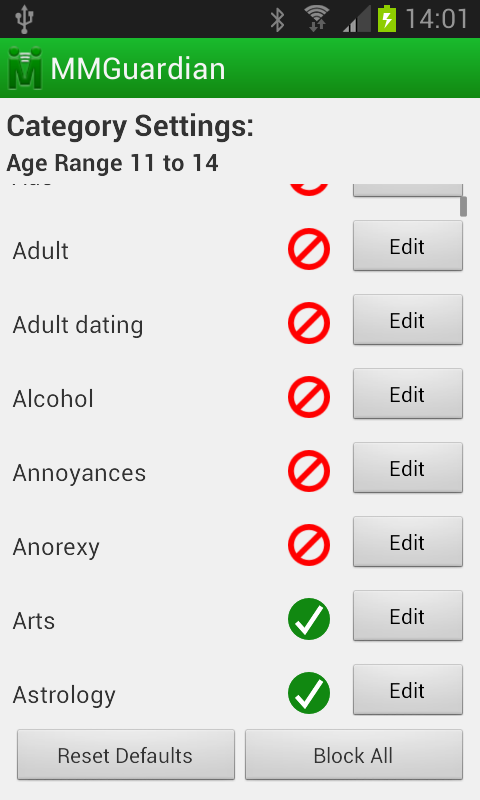 Enable Filter function to find & block inappropriate resources. If you don’t want you kid to face any adult or violent content, set specific limitations in a web browser. Easily discover what websites your child likes to visit and block them if necessary. This is a perfect solution to fight cyberbullies: set keywords you want to lock with entire SMS or another text message. Control & block incoming/outgoing phone calls! Enable this function to protect your kid from unnecessary phone calls. Set limits of those who can speak to your child and when. The same thing is useful to manage incoming/outgoing text messages. Pay attention to details available such as time, duration, date, number, etc. 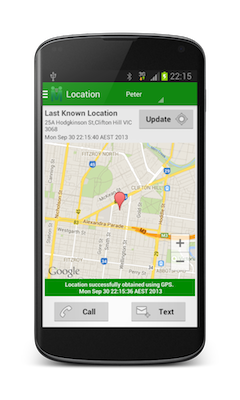 Typical parental control & family locator apps functions: a perfect solution used to minimize any risks and worries about your child’s location after school or in another country. MMGuardian offers few types of reporting: they are accurate and totally confidential. View the details on target phone usage. 2.1 Why is it so special?